Allied Van Lines is one of America’s oldest moving companies and was originally founded in 1928 as a cooperative-non profit company which was formed in the East coast. Allied merged with the North American Van Lines company in 1999, a shrewd move as this was their main rival up until that point. Three years later, Allied was renamed SIRVA Inc. and they now have their headquarters in Illinois. Like many other moving companies, Allied also offers a variety of other services including international moving and corporate relocation. The website tries to be colorful and vibrant like its competitors and everything is laid out neatly. They offer free quotes which includes orders to Canada and overseas. All you need to do is enter the origin and final destination ZIP codes, your name, address, phone and email to get your free instant quote. Interestingly, Allied also specializes in real estate. If you’re looking to move home, not only will Allied transport your goods, they will also get one of their real estate experts to assist you with selling or buying a home as well as advice on gaining financing for a house. There is also a host of helpful moving information on the site. When it comes to moving home, Allied promises a range of options including choice of packing and type of moving services. The packaging options include full service, fragile and DIY. Full service involves Allied packing all your materials themselves with the best materials and packing experts in the industry. Items that are valuable or fragile have a special method of packing applied to them. DIY packing sees Allied provide you with boxes and materials and you pack everything to your satisfaction. Allied promises to load each item which will be listed before transporting it safely to the location. Their team also unload your goods for you. 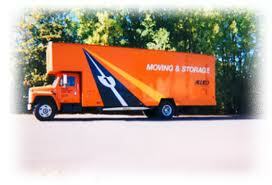 Additional services include unpacking your possessions and storing your goods for up to 90 days. Like an increasingly large number of moving companies, Allied fails to live up to their promises, at least in the eyes of the majority of their customers. Many former customers claim that Allied salespeople try to falsely estimate the weight of the goods as a means of charging extra. The company has also been accused of being a faceless corporation with no charm and salesmen who continually talk about having decades of experience without ever betraying evidence of this fact. There are also a number of reports about items going missing in transit. This is something that can happen in the moving industry, even the best companies occasionally lose items. However, former customers claim that items go missing too regularly and the company’s complaints department does not take customers seriously. Many of the missing items are not located and a long, laborious application form must be filled in. Allied also has avoided a binding Not To Exceed contract for many years to the fury of customers. It seems clear that although Allied is said to be an industry leader in the moving industry, a lot of work needs to be done in order to get customers back onside.